Less than a week into free agency, the Vikings’ philosophy for 2019 has taken shape. Namely: They’re going to go with (and pay) the guys with whom they’ve had success in the past. That means, at least at this point, giving defensive-minded head coach Mike Zimmer as many familiar defensive resources as the salary-cap challenged franchise can afford. Re-signing linebacker Anthony Barr and restructuring Everson Griffen’s deal were the biggest moves in that regard. That combination will leave the Vikings hoping to improve a major 2018 weakness — Pro Football Focus graded the Vikings’ line 29th out of 32 teams — via the draft, lower-level signings and, perhaps most importantly, internal improvement brought about by new offensive coaches. Ben Goessling, Andrew Krammer and Michael Rand discuss the Vikings' offseason direction one week into NFL free agency and more than a month before the NFL draft. It’s not an awful strategy — there’s no cap on what you can pay coaches, so you might as well aim big — which is good because it’s the only one the Vikings really have at their disposal. Even in-house free agent candidates for return at guard like Nick Easton and Tom Compton have already departed for the Saints and Jets, respectively. 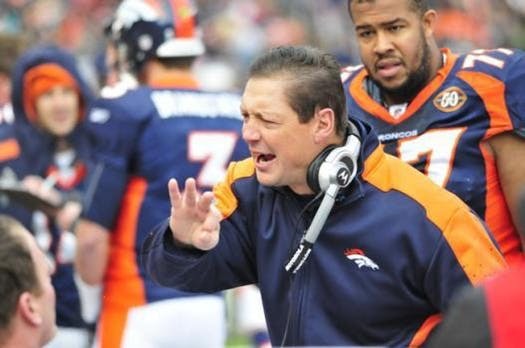 While they will certainly give new offensive line coach Rick Dennison more than the one player on the roster who has played guard in the NFL (Danny Isidora) by the time the regular season starts, it is notable to consider how much is presumably being expected of the veteran coach. The recent track record of both Dennison and the Vikings suggests 2019 could bring about improvement. The questions are: How much, and will it be enough to keep subpar offensive line play from playing a major role again in keeping the Vikings out of the playoffs for the third time in four years. On Dennison’s ledger, here are two positives: The Bills in 2016 had the No. 11-rated offensive line per PFF. Dennison arrived in Buffalo for one season as offensive coordinator in 2017 and the unit improved four spots to No. 7 overall in PFF’s rankings. He went to the Jets in 2018 as the offensive line coach/run game coordinator — the same title he now holds with the Vikings — and took PFF’s 30th-ranked offensive line from the previous year and improved it to the No. 25 ranking. Vikings fans might say the difference between the line play in those years was even greater than a seven-spot swing would indicate.